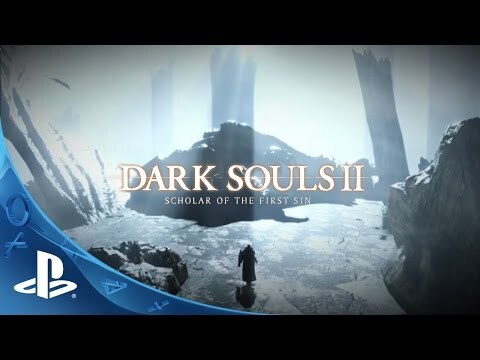 Prepare to Die again in the complete Dark Souls 2 experience with Dark Souls 2: Scholar of the First Sin. Hallmark challenge & reward await you with augmentations, additions and enhancements fueled by the passion and talent of famed Japanese studio FromSoftware. This new edition takes advantage of the next generation capabilities of the PlayStation 4, giving fans of the series and newcomers alike updated visuals, rebalanced gameplay, a higher maximum number of players for online play, new and deadlier enemies, a brand new NPC to discover, expanded lore and new in-game events. Dark Souls II: Scholar of the First Sin game also has the Crown of the Sunken King, Crown of the Old Iron King, and Crown of the Ivory King DLC already included as well. This is the ultimate version of Dark Souls II.